The St-Hyacinthe’s branch founded in 1950 is the headquarters of the network. In 1995, Groupe Maska concluded a strategic partnership agreement and joined the wholesalers network of Uni-Select, a Canadian leader in the distribution of parts and equipment for all types of vehicles. Groupe Maska now displays the Auto Parts Plus banner and offers its customers a competitive edge, such as the Auto-Select, Uni Pro and Le Specialiste banners, the Select Auto Expert (SAX) program, the Carrosier Procolor franchise, the Color Plus banner, training and electronic connectivity. In 2013, sales rose sharply at the branch at 555 boul. Boivin, in Granby, leading to construction of a new 8,500-ft2 building to replace the one that had been there since 1965. Over and above all the products and services already available to customers in the automotive, commercial, industrial and agricultural sectors, we added a line of auto body products mainly from suppliers PPG and 3M. With 23 years of experience, branch manager Sylvain Girouard efficiently supervises a team of close to 20 employees dedicated to providing our customers with top‑notch service. In 1969, another branch was opened to serve the Sorel-Tracy region. 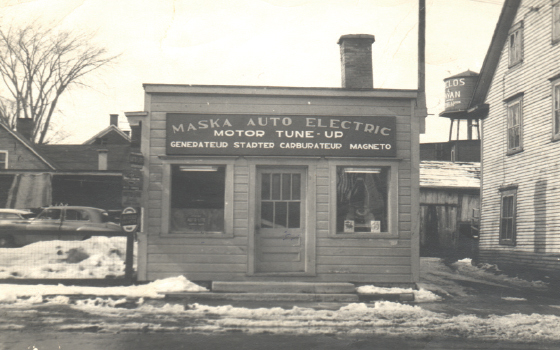 From the outset, this store focused on serving industrial customers. The 6,500-ft2 outlet, which offers the same products and services as those sold at the main site, is located at 370 boulevard Fiset, in Sorel. In addition to branch manager André Millette, the store employs three representatives (auto parts, paint and industrial equipment), several specialized clerks, and a staff of highly competent delivery people. 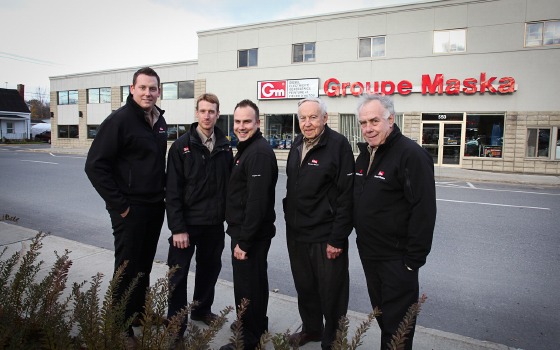 On October 12, 1970, it was Drummondville’s turn to get a Groupe Maska branch. Located at 1348 rue Hébert, the store occupies a surface area of 7,300 ft2. 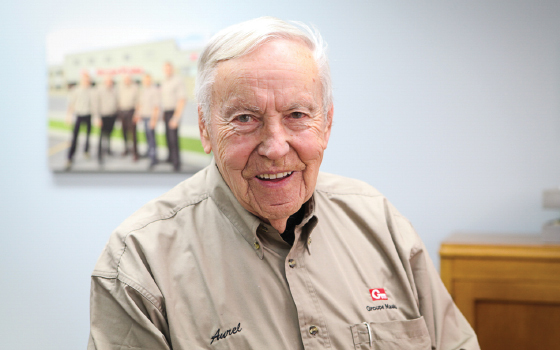 Manager René Clair leads a team of 20 auto parts and paint employees. Agricultural, industrial and commercial customers can find the entire Groupe Maska product line available onsite, as well as access to technical and repair services through the head office. In 2001, a fifth, 4,800-ft2 point of sale was opened at 509 rue Principale, in Cowansville, with 10 employees under the supervision of manager Mathieu Krywcun. As at the other branches, customers come from a wide range of local activity sectors (agricultural, industrial and commercial). On July 1, 2011, the large Groupe Maska family expanded once again by acquiring another branch (5,500 ft2) located at 652 chemin du Lac, in Boucherville. The dynamic team led by Éric Bilodeau proudly offers the high-quality products and services for which the Groupe Maska stores have become known. Lately, on July 1st 2015, Groupe Maska acquired his seventh branch located at 6165, rue Foster, Waterloo. By the end of 2015, renovations and upgrades are planned to be able to hold 700 000$ worth of invetory. Stop looking, we’ve got what you need! Diesel expertise and qualified service employees await you! Be safe and prepared—be aware!